The Establishment of Tongji University. The Chinese Business College donates to Tongji over 10718 books, most of which relate to the fields of economics, such as the History of the World Economy, Industrial Economy, Introduction of Agriculture, Finance, Monetary Theory, Modern Finance, Modern Accounting, International Trade, Corporate Finance. Tongji begins to establish the major of Construction Industrial Economy and Organization, after the Soviet Union experts Vito Heekin mentioned the concept of the major of urban construction and operation when he stayed in Tongji as a visiting scholar. Tongji launches the major of Construction Industrial Economy and Organization, appointing Jiang Tiyun as director, and Zhai Lilin as deputy director. After that, Tongji begins to recruit undergraduates major in economics and management. 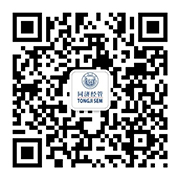 Tongji begins to recruit postgraduates major in Construction Industrial Economy and Organization. Two students, Li Zhaorui and Wang Jianqin enroll in the first batch, tutored by Zhai Lilin. The Department of Management Science, which contains the major of Management Engineering, separated from the Department of Construction Engineering. The Ministry of Education approves the reorganization of the School of Economics and Management (SEM), Tongji University, appointing Zhai Lilin as Honorary Dean, and Shen Rongfang as Deputy Dean. The School divides into five sections, including the Department of Management Science, Economic Information, Urban System Engineering, Construction Management Executive Training Centre, and Library. The first German-Sino master’s degree program and doctor’s degree program of Economics and Management in China. One of the first business schools in China to launch doctoral program. The first Executive Development Program in Construction Management cooperating with Hongkong Management Association. The first Urban Water Supply Management Training Program in China cooperating with the World Bank and the Ministry of Construction. SEM launches its MBA program, one of the first MBA programs and top 10 in China. Shanghai Jiancai College and Shanghai Chengjian College merge into Tongji University. Tongji found its business school, which contains three departments, in terms of Economics and Trade, Accounting and International Economics. The Department of Real Estate, Tongji University, merges into SEM. The first Sino-French Undergraduate’s Double Degree Program. The Business School of Tongji University merges into SEM, and SEM reorganizes its fields into five departments, namely the Department of Management Science and Engineering, the Department of Construction Management and Real Estate, the Department of Business Administration, the Department of Economics and Finance, the Department of Accounting. One of the first post-doctoral mobile stations of Management Science and Engineering in China. Shanghai Railway University merges into Tongji University. SEM launches SIMBA program, cooperating with ENPC, France. SEM initiates its MPA program, one of the first MPA programs and top 3 in China. SEM initiates its EMBA program, one of the first EMBA programs and top 10 in China. SEM launches the first DBA program with Grenoble Ecole de Management and top 2 in China. The establishment of the Department of Public Administration. Authorized by the Ministry of Education, SEM starts to confer doctoral degrees in Business Administration. The opening of Jiading Campus. ME program is accredited by International Project Management Professional (IPMP). The opening of SCCA-TONGJI-RICS Learning Center. SEM’s first International Advisory Committee Meeting. The Department of Construction Management acquires the overall project management of 2010 Shanghai World Expo. DBA program accredited by AMBA. SEM’s bachelor program of accounting accredited by Australia Institute of Certified Public Accountants (CPA). SIMBA ranks 37th in Financial Times’ global ranking. The opening of business administration post-doctoral mobile station. SEM launches its EDP program, as well as a double-degree MBA program with Manchester Business School, UK, and a double-degree EMBA program with Mannheim Business School, Germany. SEM launches a double-degree MBA program in Finance with Case Western Reserve University. The opening of SEM-CIOB Center. Authorized by the Ministry of Education, SEM starts to confer doctoral degrees in Applied Economics. SEM’s MBA program and EMBA program acquire 5 year AMBA accreditation. The opening of China Logistics Research and Training Centre. SEM launches Global MBA program with Case Western Reserve University, U.S. and XLRI School, India. SEM is awarded both EQUIS accreditation and CAMEA accreditation. The foundation of SEM’s Alumni Council. SEM signs ten-year global cooperation strategic agreement with ESCP Europe, France. SEM launches its MF program, MPAcc program and iEDP program. SEM’s master’s degree program of management ranks 65th in Financial Times’ global ranking of Master in Management. The opening of Shanghai Advanced Training Institute.